At PeachTree Place Assisted Living near Salt Lake City, we do our best to provide the services, resources, and helpful tips to help improve the quality of life for seniors. 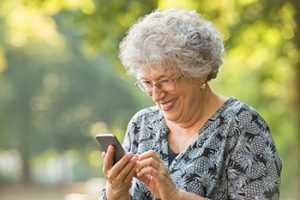 For instance, did you know that there are many apps for your smartphone that can significantly make senior living a bit easier and more fun? Never worry about missing a bill again. The Mint app helps to manage all of your finances in one place. You can keep track of things such as your spending habits, your credit score, and your account balances. With Mint, you can even create a budget and pay bills online. Do you ever have those times where you forget whether or not you have taken your medication? Worry no more! With the Medisafe app, you can get medication reminders, keep track of dosing, and even see a report of your progress, which can then be shared with your health care provider. Would you like to see your kids and grandkids a little more often than you’re able? Skype makes it easier to talk face-to-face with loved ones. With the Skype app on your phone, you can “be there” for the special moments you might otherwise miss. Seniors often struggle with dwindling vision, which can make reading a chore at times. Audible offers a great solution with its huge selection of audiobooks. You can listen to anything from great classical literature, modern mystery novels, to self-help books, and everything in between. Keep your mind sharp with the Lumosity app. Studies show that seniors can lessen the risk of dementia and Alzheimers by doing activities that challenge and stimulate the brain. Lumosity provides a variety of brain games and puzzles to keep those thinking and memory skills in shape. At PeachTree Place Assisted Living, we want to help seniors live life to the fullest. We go the extra mile to provide a variety of amenities in a comfortable, safe environment. 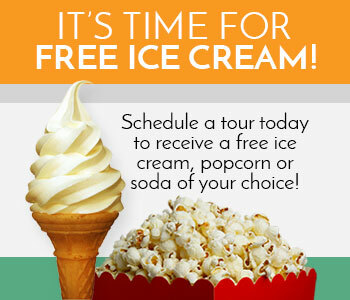 Come in for a tour today and see what our senior living center has to offer.